1. An Ac converter control is used for both speed and quantity of glue feeding for which both automatic synchronous tracking and manual control are available. 3. The glue melting oven is coated with the antisticking layer, efficacious prevent the hot melt adhesive against carbonization. 4. Collocate the precision metric gear, make it more steady to produce the adhesive. 5. The high precision of alloy steel spray head has guaranteed high-quality coating result. 6. High-efficiency cooling device insure the applicable range of the basic materials. 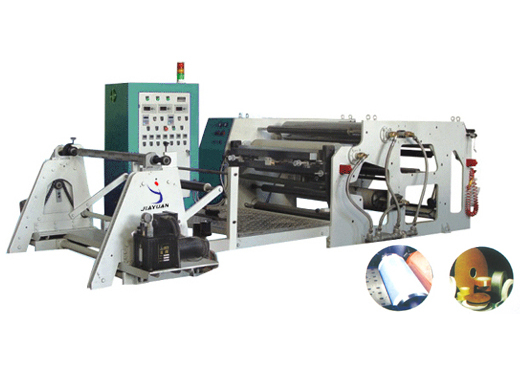 This hot melt coating machine is suitable for producing double-side tapes,duct tapes , double-side sponge adhesive tape, clean adhesive tape, masking adhesive tape, Alu. Foil tapes, fabric tapes, shoes materials and medicine dressing tapes. etc.